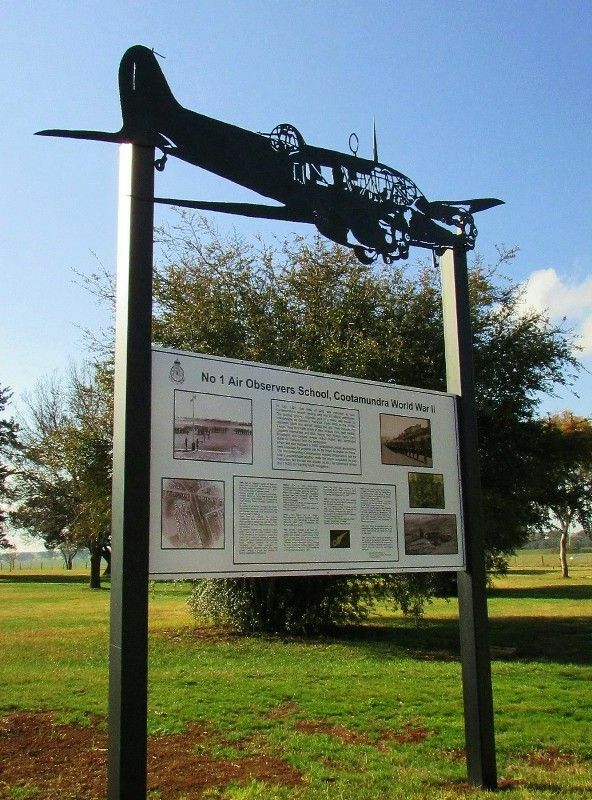 A monument commemorates those who served and trained at the Royal Australian Air Force (R.A.A.F.) airbase at Cootamundra during World War Two. 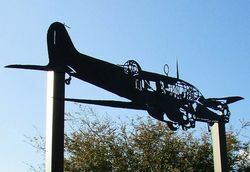 The unveiling date of the memorial commemorates the 75th anniversary of the first intake of air observer (navigator) trainees on April 29, 1940. 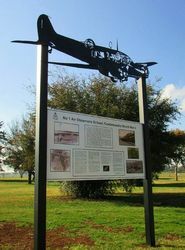 The impressive memorial stands four metres high, topped by a steel-crafted Avro Anson (the type of aircraft used to train navigators at Cootamundra) and signage giving a history of the RAAF’s years in the town. Cootamundra Local History Society vice president Patricia Caskie was the instigator of the memorial. 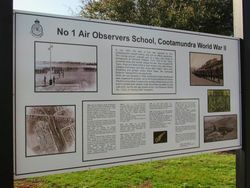 From 1940 to 1946, Cootamundra hosted a RAAF Base as No 1 Air Observers School (No 1 AOS), to train navigators. An estimated 2,630 air observers men passed out from No 1 AOS in Cootamundra. The most notable of those trainees was the late Prime Minister of Australia, the Hon E. Gough Whitlam AC QC. Leading Aircraftman Whitlam trained in Cootamundra during 1942. At the height of its operation, No 1AOS numbered more than 1,000 RAAF personnel. These included the support staff required to turn out qualified air navigators – from pilots and lecturers through to cooks and guards.